The fast-growing market demand for quality early care and education centers leads many savvy investors to consider child development franchises. Investors choose Legacy Academy because of its proven successes with other daycare center franchises. From the beginning, providing the best quality early care and education has been the focus of Legacy Academy. Our name and trade identity are synonymous with the highest end of the spectrum of educational facilities for children. We focus on those aspects which leave parents with a feeling of confidence and pride in the choice they make for their children's daycare. Legacy Academy's own copyrighted curriculum, Framework for their Future®, crafted by a team of early care and education experts, is used in all of our schools. We believe that Legacy Academy provides the best child care learning experience by empowering children to be the best they can be. What many call daycare, we call child care because children are our focus. Throughout each day, we care for the unique, inquisitive and fascinating infants, toddlers and young children entrusted to us. 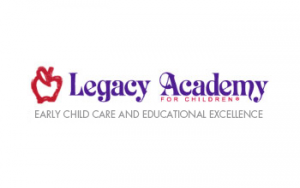 Legacy Academy offers investors an exciting opportunity to build a rewarding business, while helping families and children with our very successful daycare franchises. are given help and guidance with the accreditation process along with encouragement to keep achieving the best possible environment for children in their care. Our success is tied to the success of each new childcare franchisee, so it is our goal for each franchisee to build and manage a well-run and profitable center. Franchise operation is not for everyone but it is one of the most secure forms of business operation available for those with good business skills and a desire to be successful by following a proven system. Ours is a massive, open market with tremendous potential. Legacy will work to help you obtain the necessary financing, choose the best site, build and begin operating your new center.